While Mexican cuisine is commonly known for its rich and complex flavors, this course will teach you the cuisine's basic building blocks. Mexican cuisine is fresh, colorful, full of vibrant flavors, and steeped in tradition. For centuries, Mexican cooking has thrived on a rich array of fruits, vegetables, and meats, and has been continuously influenced by surrounding countries and peoples. Today, modern Mexican cuisine is a fusion of Indigenous American and European food, and is regarded as one of the world’s first fusion cuisines. In this course, you'll learn techniques and recipes that have existed for hundreds of years - directly from master chefs known for their expertise in Mexican cooking. While the basic staples are corn, peppers, and meats, you'll become familiar with a wide variety of ingredients that have been used in Mexican cooking for centuries. 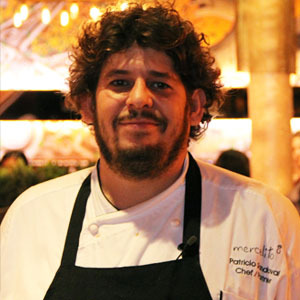 Chef Patricio Sandoval is the executive chef and co-owner of the Mercadito restaurants in Chicago. Chef Patricio channels his childhood memories of growing up in Acapulco with a restaurant family into refined Mexican street food that has won the hearts of Chicagoans. 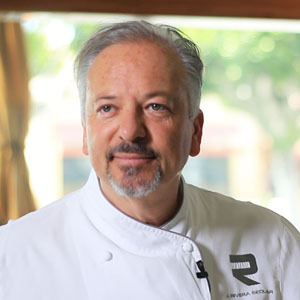 Chef John Sedlar is the executive chef and co-owner of Rivera in downtown Los Angeles. Globally renowned for his Latin and creative Southwestern cuisine, Chef John is the youngest chef ever to receive the Silver Spoon Award from Food Arts magazine in 199. He was also named “Chef of the Year” by Esquire in 2011. 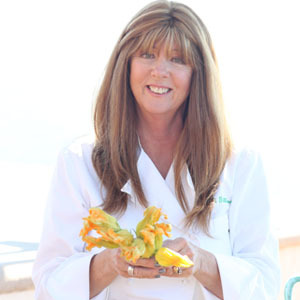 Chef Geraldine Gilliland is the executive chef and co-owner of Lula's Cocina Mexicana and Finn McCool’s Irish Pub in Santa Monica, California. She has a James Beard nomination for her cookbook, and has been named “one of the top 6 chefs in the United States” by Bon Appetit Magazine. 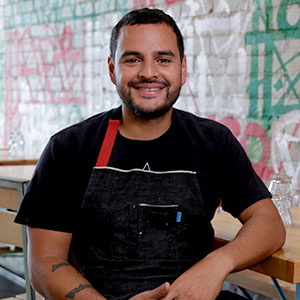 Fabian Gallardo is currently the head Chef at Petty Cash Taqueria in Los Angeles. Food & Wine awarded Petty Cash the title of Best Tacos in the United States for 2015 and Eater included the restaurant in their list of 38 Essential Restaurants in Los Angeles. 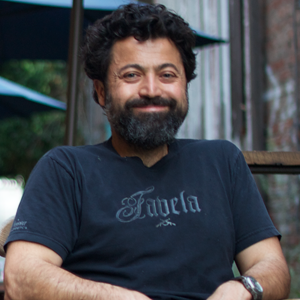 Chef Sarkis Vartanian is the head chef of Daily Dose in downtown Los Angeles. Chef Sarkis is dedicated to sourcing local and sustainable ingredients, with a firm belief that honest food is the best food. 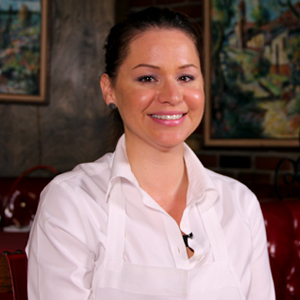 Chef Christy Vega is the executive chef at Casa Vega. In 2010, San Fernando’s Business Journal named Christy one of the ‘Top 40 under 40’ business professionals. She has appeared in segments on the Rachael Ray Show, NBC’s Today Show, CBS’s This Morning and on Bravo’s Flipping Out. This classic dish works as a great dip, garnish, or side. "One of the most popular dishes in Mexican restaurants in California." A zesty and flavorful seafood taco. "A dish we are known for here at Rivera. It is quite extraordinary." Roasted, stuffed peppers topped with a creamy goat cheese sauce creates a flavorful and layered dish. A unique citrus twist on a classic drink. This recipe highlights the flavor of a California avocado. A balance of crispy fish, fresh cabbage, and tangy salsa make these Baja style fish tacos irresistible. These tortillas are easy to make and are sure to impress. Refried beans can be enjoyed alone, or used in tacos, burritos, and enchiladas.